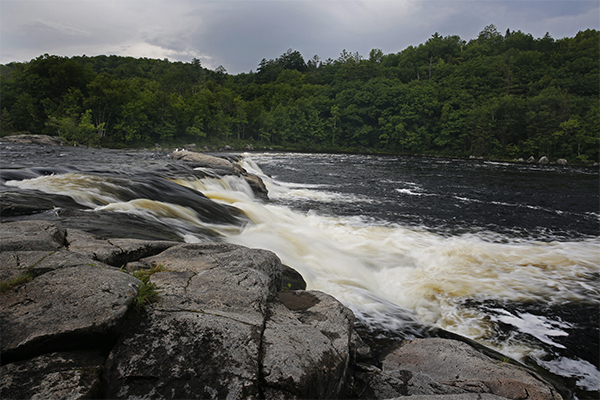 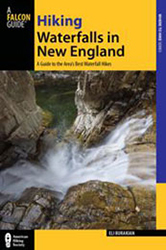 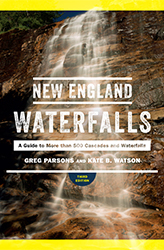 A classic block style waterfall (also known as a “horseshoe” falls) Nesowadnehunk Falls is a 7-foot drop of the West Branch of the Penobscot River. 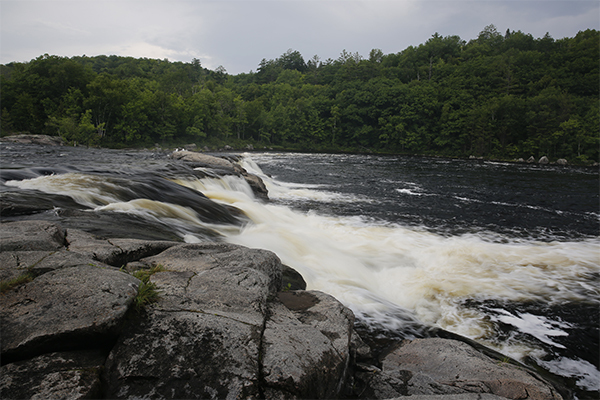 The falls are a well-known portage spot, often too dangerous for canoes and kayaks traveling down the river from the drop-in spot at Ripogenus Gorge. 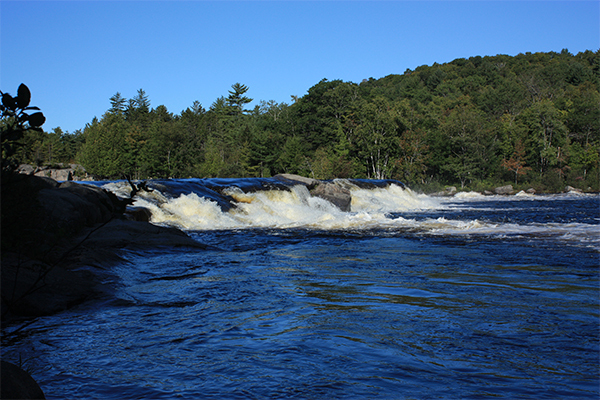 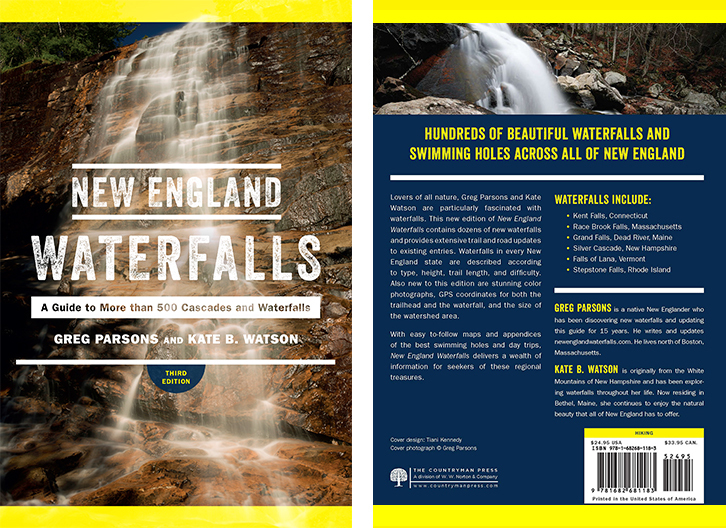 For whitewater rafters, however, traveling over the falls is often the highlight of a journey down the Penobscot River. 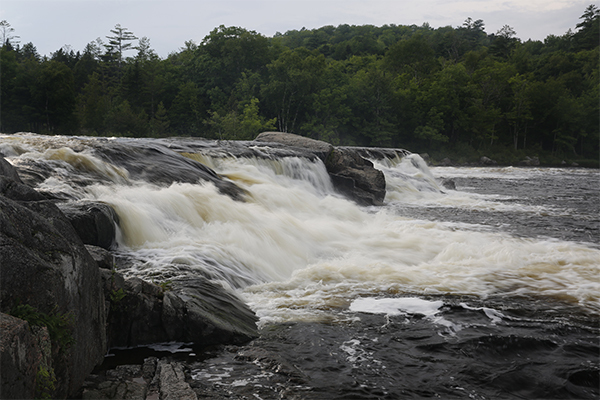 Often, outfitters will do multiple runs over the northern end of the falls if time and conditions permit. 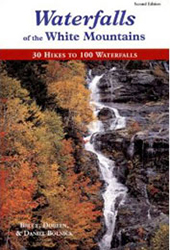 The powerful 100-foot wide cascade drowns out the occasional logging truck that drives along Golden Rd, only yards away. 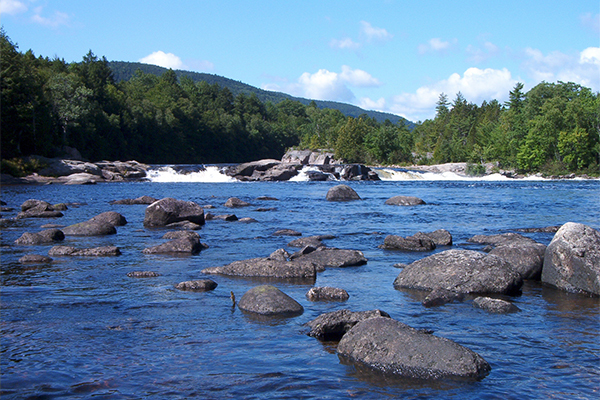 Fly-fishing is also common below the falls, and a good view of Mt. 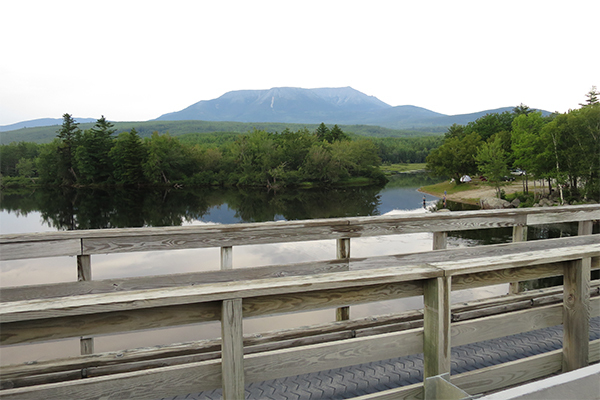 Katahdin, Maine's tallest peak, can be seen on the left when looking downstream. 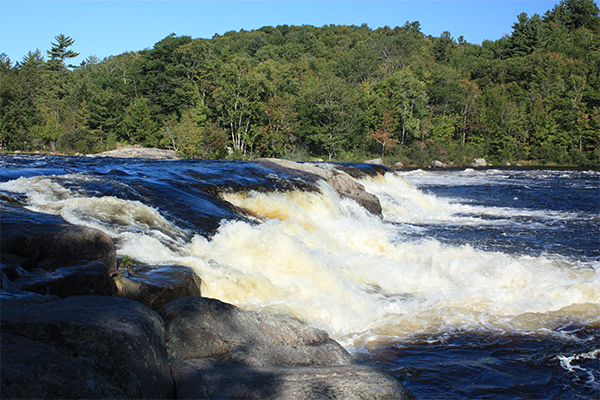 Also, since the falls are controlled by the Ripogenus Dam, upstream, and water is released throughout the day, you can expect to see a powerful waterfall no matter when you visit. 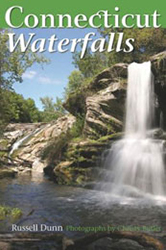 Nesowadnehunk Falls is very close to the Debsconeag Lakes Wilderness Area, which contains several natural attractions, including the famous ice caves near First Debsconeag Lake. 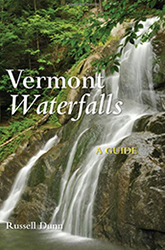 For more information and a trail map, visit the website of The Nature Conservancy here.